It depends on what matters. I dont understant all words. Hacks ? I dont think. First time i played 3 Years. I dont know you asked me so why not ? And if im Pro in something i learn fast . Congratulations Terror! 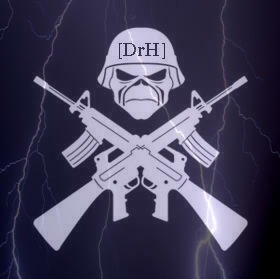 You have been accepted in the DrH clan!!! Looking foward to the next Clan War!!! I'll try to include u in it. Maybe. ,,,TERROR,,,, congratulations on joining a clan, i know you are really good value and feel very welcome.